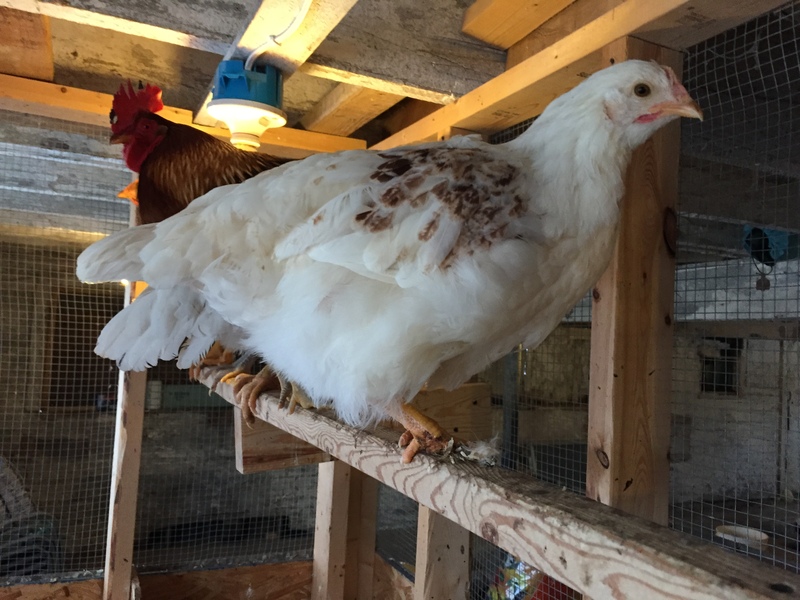 Well, I promised an actual flock update, because I haven’t given one in a while. There’s not much to say about the old ones. They hate the nasty Cold White and some of them are still in various stages of molt. Like Amy,who waited until the week of Christmas to drop all her feathers at once. You can’t see it from this picture,but her entire underside is BARE NAKED. It happened over night. She is currently in the prickly ‘porcupine’ stage. Is this normal molting? I envisioned them losing their feathers in October/November…not January! 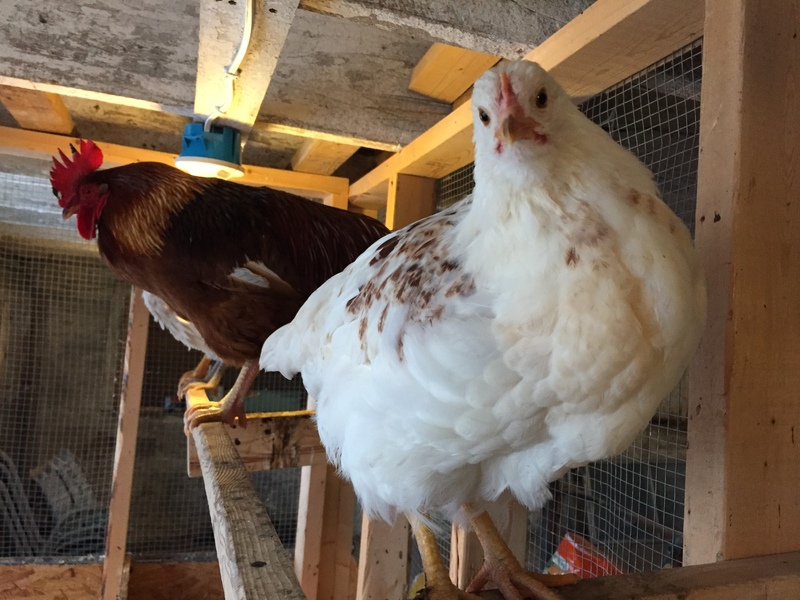 And yet, aside from Amy, I know I have at least four more hens who are in the midst of a slow molt. Does it always take this long? I’m so glad we haven’t have negative temperatures, because they would freeze! Especially Amy! I mean, look at her! I’ve been feeding them Feather Fixer mixed in with their regular food, because I heard it helps them molt quicker/get over it faster. Whatever. I don’t think its working. Or else it is working and they would be molting until June without it??? Again, is this normal for it so long??? Seriously,because I feel so bad for the poor cranky things! Now…since it is cold and windy today, and the flock all opted to stay inside and bug me while I attempted to clean their beds and fill the feeding tubes, I did manage to get pictures of Ashley’s Babies. They are eleven weeks old. as of yesterday. The tricky part is that all the white ones – Max and the Dalmies – kind of remind me of Eugenie at that age. 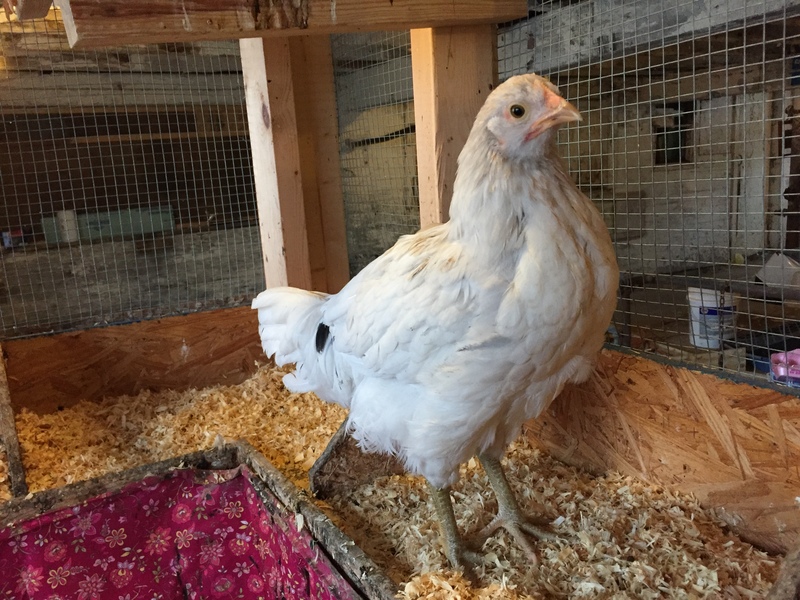 She was big,had a slightly pink face, which stood because she is white, and I wasn’t sure at first if she was a henny or a slow-developing roo. Keep that in mind as you look at the white chicks. Feel free to click the pics to make them bigger. Max looked like a boy when he/she was little,but now I see inklings of a little hen. Max on the right. Dalmie # 1 on the left. A behind view. I think this is the same one I named Dalmie #1 in previous pics. Not sure. A gentle reminder that as per Twiglet’s comments on prior posts, we think Pip is the father of the Dalmies. So… I’m betting anything that Felicia is really Felix. 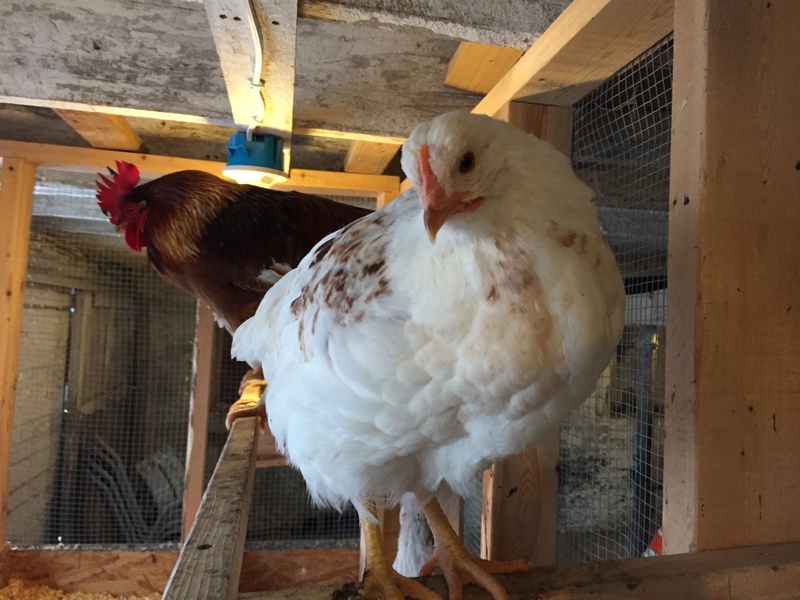 If this chick starts laying eggs in the spring, I will be so surprised. Well, that’s the scoop on Ashley’s Babies. If you’re up for a game of “Henny or Roo?” Feel free to take your best guesses in the comments. Eugenie,of course, is the white one! And now… here’s a special treat… Abby’s baby Easter Eggers. The will be 8 weeks on Thursday. The smaller one, even though she? is stretching her neck in this picture. The bigger one. Also is yellow gold/buff color. The darker chick is smaller, really skittish and mouthy. Based on behavior alone, I think she’s a hen. She is curious about me, but afraid to come close. She likes treats and will eat out of my hand and then yell at me for more when I walk away. The yellow/buff-ish one is bigger and less skittish, but standoffish. Like a little rooster-in-training. He also likes treats but doesn’t demand them, like his sibling. 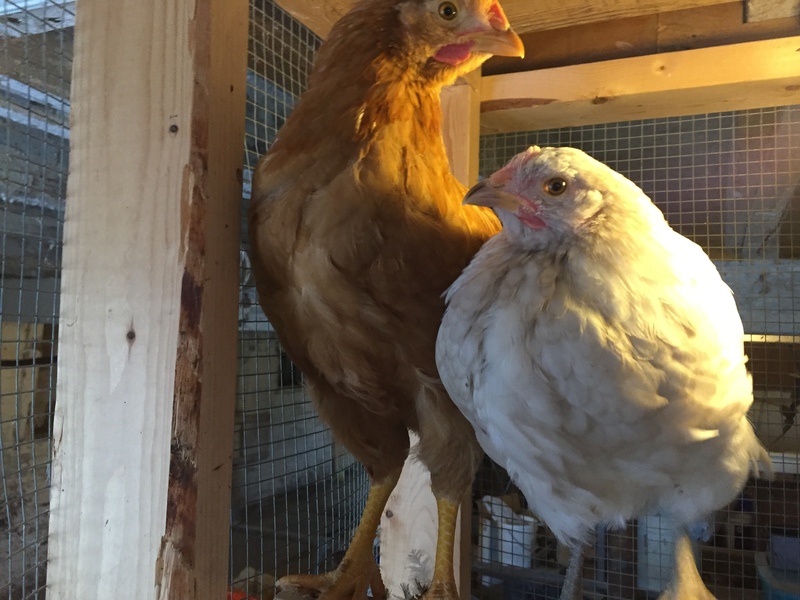 Now… these chicks are staying. When the other 2 vanished without a trace, I told DH that under no circumstances were we sending either of these to Freezer Camp if they were roosters. Why? 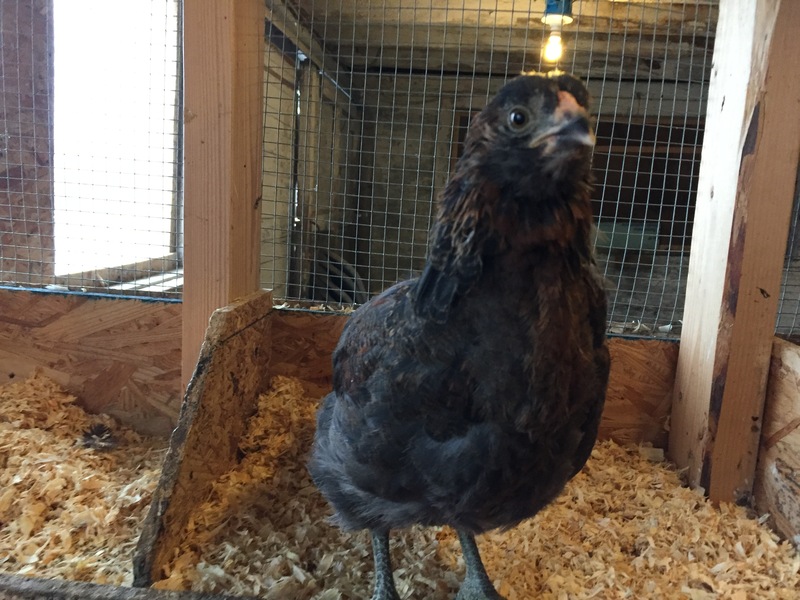 Because he told me I could keep Esther if I really, really wanted, but I flip flopped, and then he said “well, you do have Abby’s 6 eggs.” So I aired on the side of Abby having potentially 6 new EE chicks. This is why you don’t count your chicks before they hatch, people. 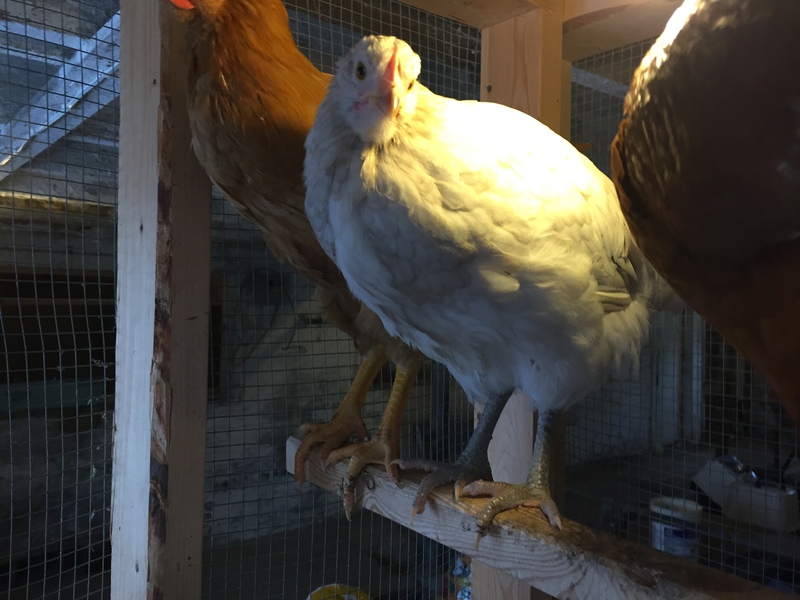 Pavel hasn’t forgiven me for sending her favorite brother to Freezer Camp… and Abby only has two chicks. So…unless the little yellow/buff one has major dominance issues with Dots and Pip, these chicks are here to stay. No matter what. 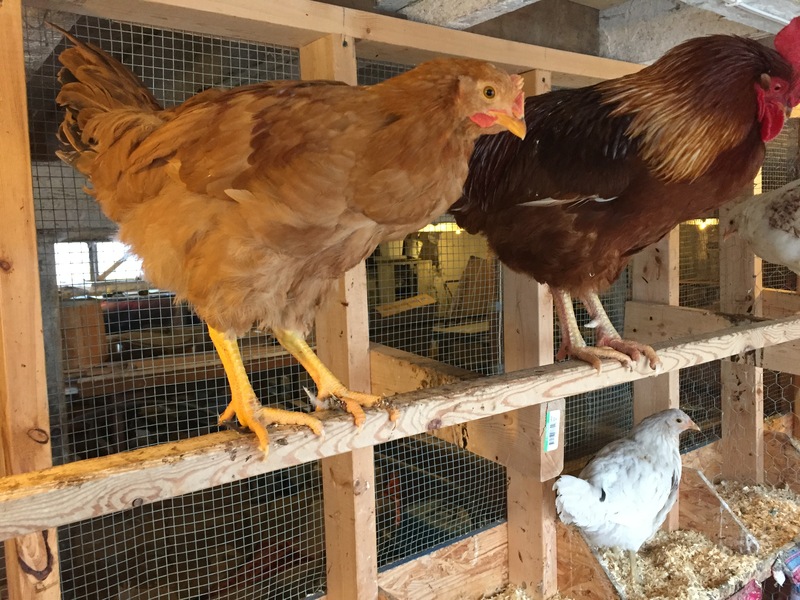 ‹ PreviousHow are your Chickens Handling the Snow? Ah, so much to say! Poor Amy. I can’t be much help in the moulting department as it always seems to be all over the place to me. Was it warmer in autumn? Maybe if it was warmer they didn’t start moulting until later. And then maybe the moulting got slow and awkward since it got cold. I don’t know. The only time I’ve been concerned about moulting was with Sam, who took I don’t know how many months to moult, starting in Summer. But she was sick and bothered with all sorts of things. Frodo moulted in winter while looking after her first chicks so I wouldn’t worry too much unless they seem otherwise sick. As for the feather babies. Goodness! I was sure Max would be a boy but he is looking girly. What happened to the big comb?! The Dalmies are a bit of a mystery too. Parts of their bodies look boyish but their combs and wattles are very small for this age and I would expect to see more of some darker colour, most likely grey or red, in their necks and maybe around their wings by now if they were boys. It is very hard to tell with mixed breeds! As for Felicia, I mean Felix… Well, if he turned out to be a girl I’d eat my hat too. 😛 You’ve got a bit of a tricky game this time. 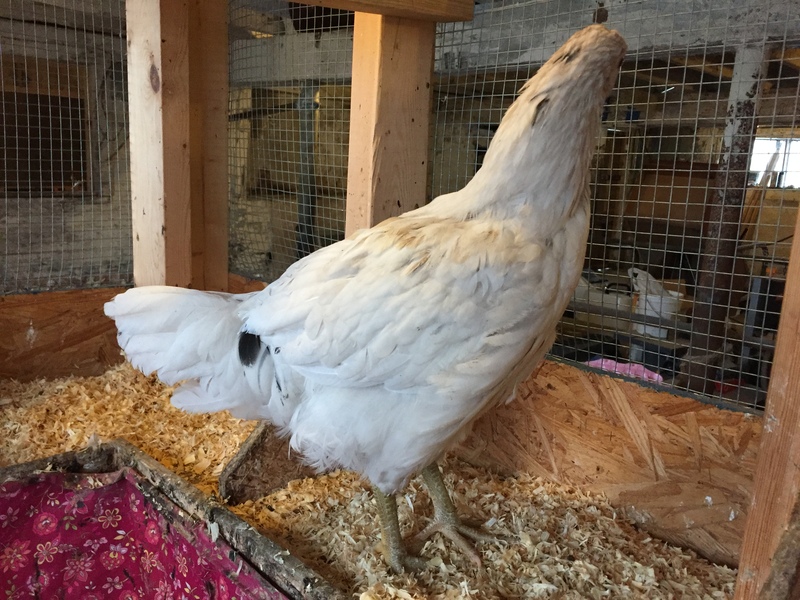 Right now I’m going to guess… Dalmie #1: Hen. Dalmie #2: Hen. Felicia/Felix: Roo. As for Max, I can’t bring myself to make a decision. All that red leakage in the wings points to boy, but overall he looks more like a girl. Based on colour, I am leaning a little more towards boy. Have you got photos of Dots and Pip at the same age for comparison? It is hard to tell with mixed breeds, and the fact that 8 of my birds are the hybrid Sexlinks, known for growing fast and maturing quickly. Max looks a LOT like Dots and his rowdy white brothers at that age. Those brown/red splotches on the wings… but then again, so did Eugenie. Felicia/Felix… I’m not sure. 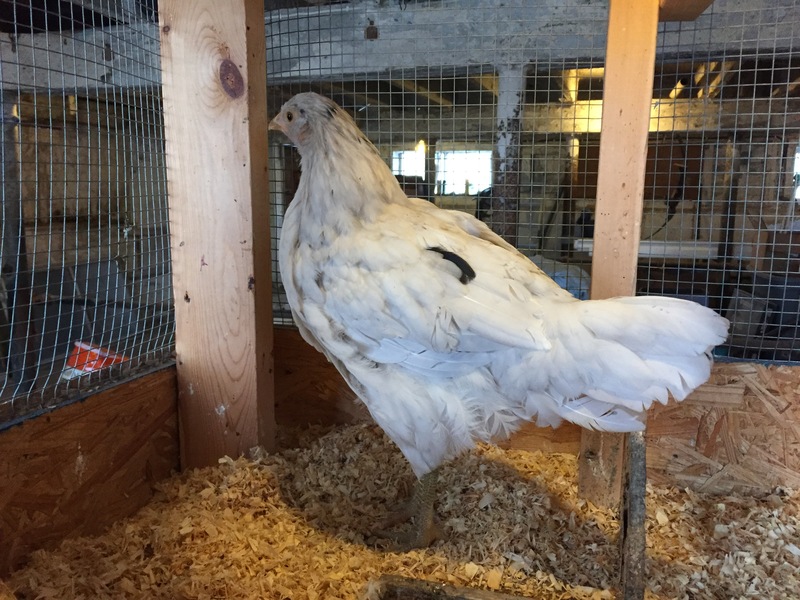 I had a couple of the Mystery Bin Girls (a sexlink pullet) who had combs/wattles that big at that age, and they were definitely female. 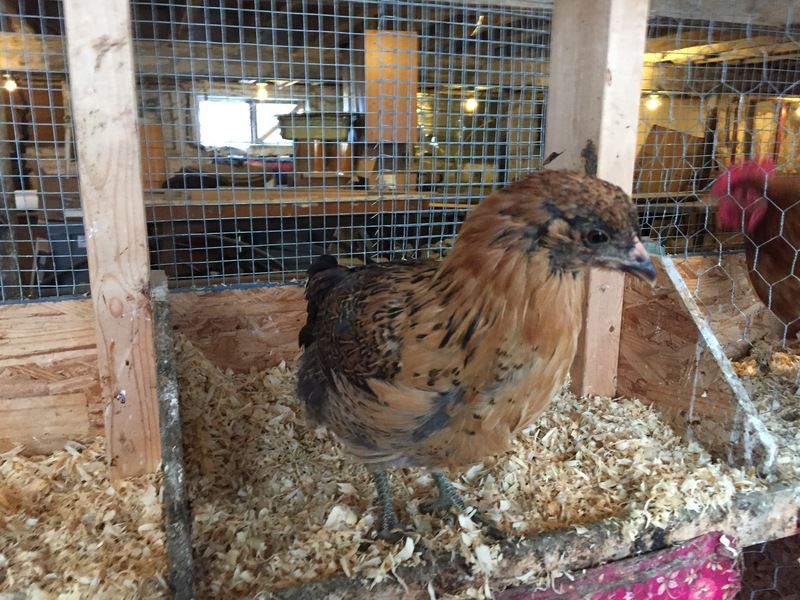 I’m just not sure if little Fel gets his/her coloring because he is Dots+BuffOrp (I have 2 Buff Orpington hens) or if he is Pip+MysteryBin? Or some other combination. Fel’s coloring is not quite Buff but it’s not the same as the sexlinks either. More butterscotch. All I can say is, a couple of generations down the road, I’m going to have some unique mutts. Especially if we get some of Pavel’s genetics and the Easter Eggers. Ah, that’s good to know. Hope all the others finish their moulting soon. I was fiddling with the chicken calculator again hehe… I forget all the colours you have but apparently if Dots mated with either buff or black Orpingtons, all offspring would be black. However, if Pip mated with a buff Orpington all offspring would be buff. I’m starting to wonder if Pip’s getting around a lot! I can’t remember what your mysteru bin girls are, but if they’re red, whether with white or black, they plus Pip would produce red offspring. 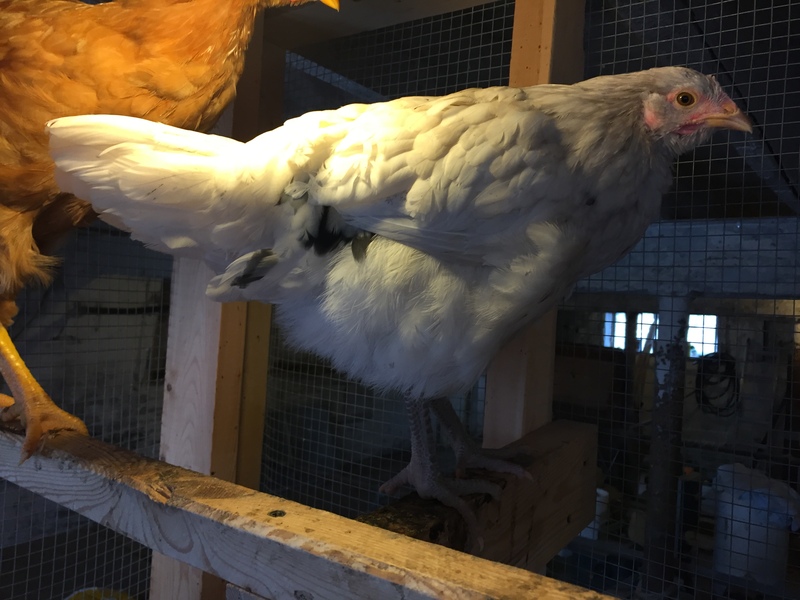 It seems like most of your hen options with Dots should give black or white offspring. I guess it’s just the luck of the draw as to which eggs you pick and which ones hatch though. 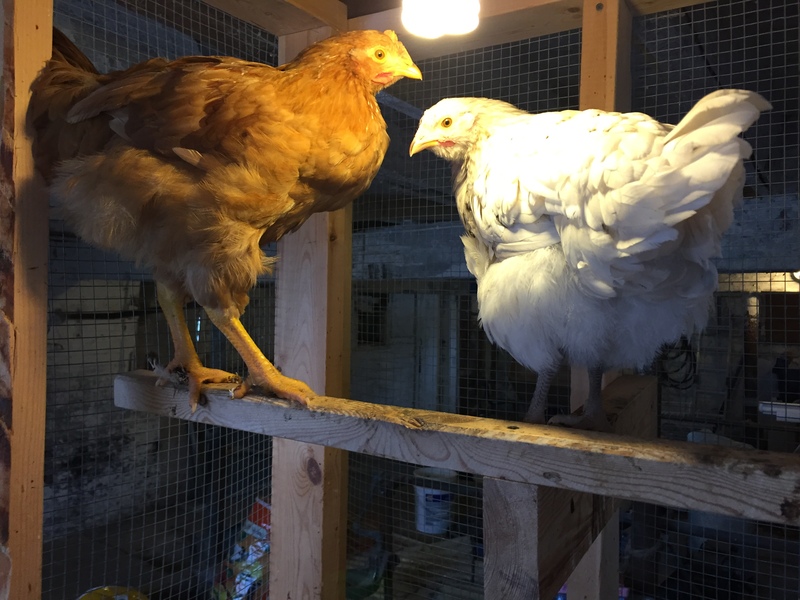 Felix/Felicia looks huge and very rangy, but I guess I am looking through Orpington/Australorp eyes, assuming that the buff-like colour is coming from one of your buff Orpingtons. I’m not used to sexing your red-type chickens though, so don’t take my word for it. 😉 Oh, just think of the possibilities with Pavel’s genetics – cute!